2.00 pm – Pitch panel: Pitch your Startup! 6.00 pm - The Italian ecosystem, an overview by Augusto Coppola 6.30 pm - Lifestyle Acceleration Program presentation 7.00 pm - The Bulgarian ecosystem, an overview by a successful entrepreneurs 8.00 pm - Networking 9.00 pm – Closing [Register here to attend the presentation] During the Pitch Session, you will have the chance to book a slot to introduce yourself and pitch your startup to Augusto Coppola and get his feedback. More details on how to participate will be given at the beginning of the event. 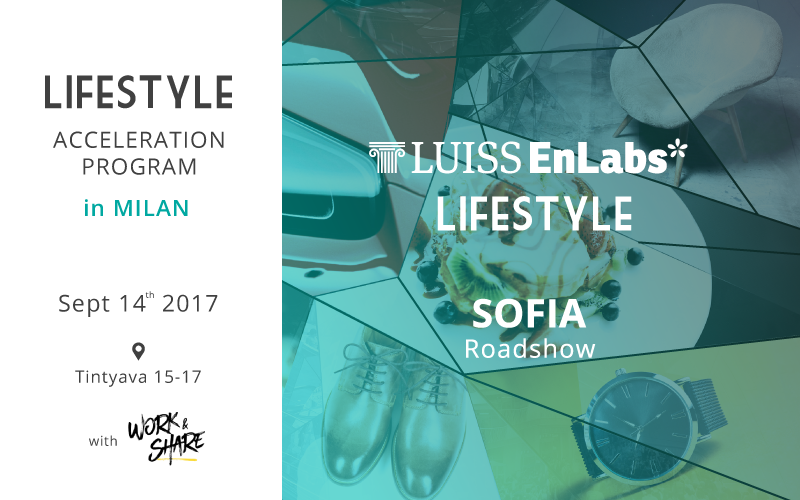 We do suggest you to prepare your pitch (max 5 mins) and participate in the session in order to increase the chances to be selected for Lifestyle Acceleration Program!